Invite Ed Sullivan Celebrity Lookalike Look Alike Impersonator for your next event or party. 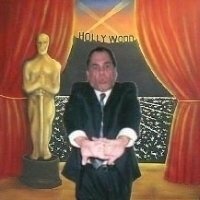 Have Ed Sullivan Impersonator MC your next event. He can announce your wedding party or your Bar/Bat Mitzvah candle lighting honored guests. He is the most requested Ed Sullivan celebrity lookalike impersonator in the nation. always a huge hit at every event he has been invited to. Also great for your Beatles Introduction or any of the thousands of talents he had on the Ed Sullivan show or modern day entertainers.